LAND is local, national and global solutions provider serving private, commercial, government and municipalities to build a sustainability world. Engineering solutions on green, sustainable, and efficiency, and alternative energy on land, resources and facilities. The objective is to provide cost efficiencies and saving by converting gray to green applications. 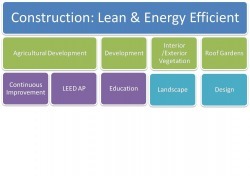 Construction services offering construction management in green, alternative energy development, building, retrofits for green conversion and land solutions. LAND provides LandScapes which are vegetative, green and efficiency applications such as, roof gardens, planting, reforestation, community gardens, organic and eco-friendly designs and architectures. LAND provides Landscape services installation, earthmoving, structural, and irrigation. LAND provides consulting to support green technologies, innovation, change and expansion. We assist design professionals and customers with functional solutions on go green projects that assist in reducing cost, work arounds, and inefficiencies. Our services provide sustainable solutions and outcomes for our partners, customers and stakeholders. Recycling services provide and support construction companies by recycling unused construction materials within the construction process. LAND can provide recycling of waste materials and provide a capital gain to all projects. Agri Solutions services is necessary to provide access and reduce food desserts and improve food production. LAND supports, plans, designs, and engineers food applications and process. Provide green applications and services to increase edible, vegetative and increase greenery to reduce carbon emissions and provide carbon credits.